10 IBJJF World titles, five of them gold in the open weight division. Marcus ‘Buchecha’ Almeida made history at the 2017 World Championships. By taking his fifth absolute (openweight) World title, he surpassed the previous record held by Roger Gracie, who had won it four times. 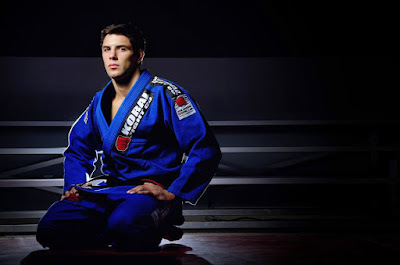 Buchecha sat down to share his thoughts with FloGrappling in the days following his historic win. The scale of his achievement still hadn’t settled in for the Checkmat black belt. A question mark over the event was whether Buchecha would compete against Leandro Lo. They both earned their spot in the absolute final on Saturday June 3, each winning semifinals (Buchecha having defeated Erberth Santos, and Leandro beating Luiz Panza. “The first day I was having a good time fighting, I wasn’t scared to try. Sunday, it was a little bit harder. I had two hard fights, it almost messed with my head. In the final of the openweight I fought Leandro Lo, he’s like a brother for me. We had this dream to fight in the openweight final of the Worlds. Of course we are really good friends but we had the same dream and we promised to give 100%”.